Tent cities provide a place to be for people who don’t have housing or shelter, either because there are not enough homes or shelter beds or because they are excluded from the homes and shelters that do exist for reasons like that homes are too expensive or that many shelters don’t allow couples or pets. Tent cities also provide a sense of community and belonging that cannot be found in shelters or “supportive” housing. Public health experts recognize that tent cities save lives, especially in the midst of an overdose crisis. However, one crucial problem tent cities are bringing to the forefront of debates around homelessness is that there is no place for homeless people to be when they are awake. Camp Namegans pitched tents on Provincial land after being evicted from the nearby Saanich Police Department parking lot. While some homeless people have access to some options to shelter themselves at night (in shelters, for example – when beds are available), there are very few places where homeless people can exist when they are awake without being harassed or criminalized. Some shelters have daytime drop-in programs, but those are typically only available for a few hours and the very few shelters open during the day cannot come close to accommodating all homeless people. This means that many of them have nowhere to go from 7am to 7pm. When they attempt to seek shelter in retail businesses, indoor public spaces like community centres or libraries, or by pitching tents in parks, they are often harassed by the public and criminalized by law enforcement. A recent example in Saanich illustrates this quite well: residents of Namegans Nation put up a gazebo in one of Saanich’s designated “campable” parks to shelter themselves from the rain, only to be told by Saanich Police that it had to be taken down because the municipality of Saanich defines gazebos as “temporary overnight structures” that can only be put up from 7pm to 9am. 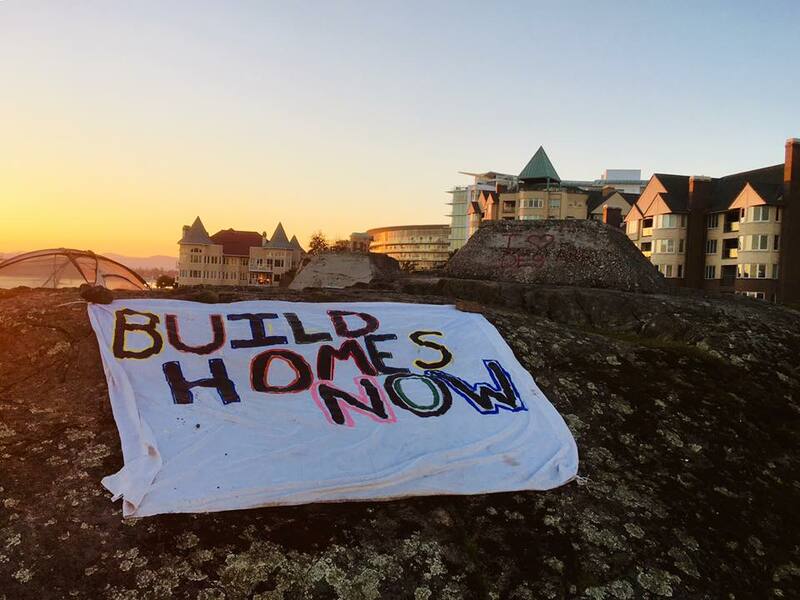 When the homeless group refused to take it down, Saanich Police confiscated it. Later that day, the Police Department confiscated another gazebo that residents of Namegans Nation put up in another park to protect themselves from the rain. When homeless people seek protection from the elements and some dignity while being outside, they are criminalized by the state. When vulnerable people with very few resources cannot use the only means they have to shelter themselves from the rain without having it confiscated by police, they are denied a basic human right afforded to housed people. When police seize a homeless person’s rain cover (such as a tent or gazebo), they are denying them their Section 7 Charter right to security of the person. There is no public good served by confiscating a homeless person’s rain shelter, but the potential health harms of taking it away are serious: people can face significant health hazards or even death when they are unable to shelter themselves from the elements. 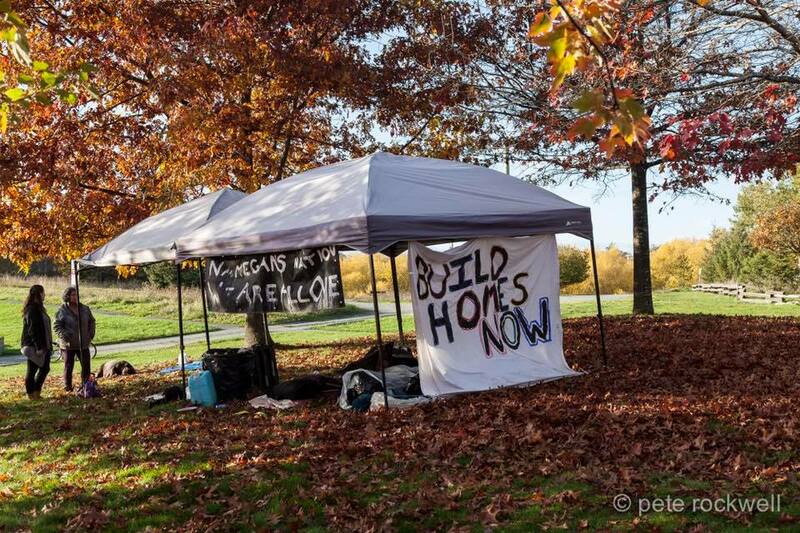 The fact that police typically do not confiscate gazebos put up during picnics or sporting events shows that this is not simply about enforcing bylaws; it ultimately reflects the state-sanctioned criminalization of poverty and homelessness. 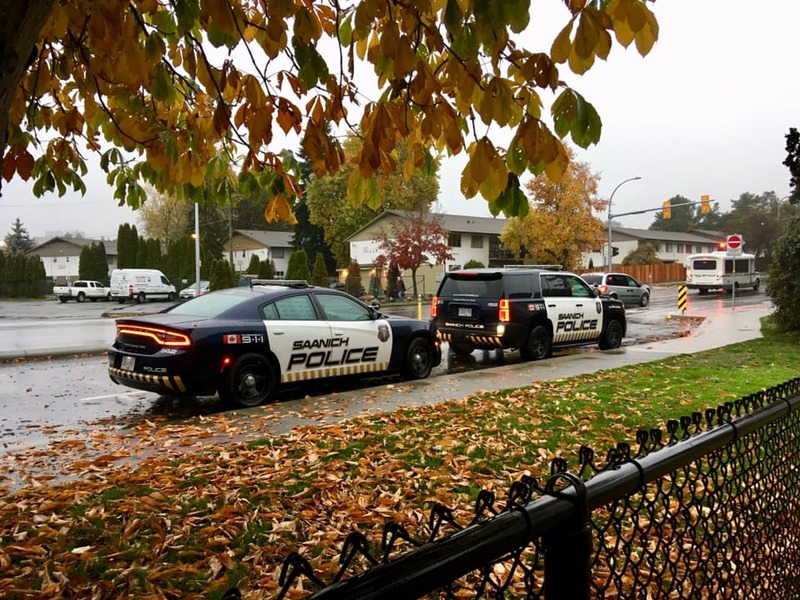 Saanich PD parked outside of Hampton Park, minutes before they came in to tell Namegans Nation their gazebo was a “temporary overnight structure” and had to be taken down. When they refused to take it down, the police confiscated it. In Victoria, 1500+ homeless people are in desperate need of permanent, affordable housing options, which our government is failing to provide. 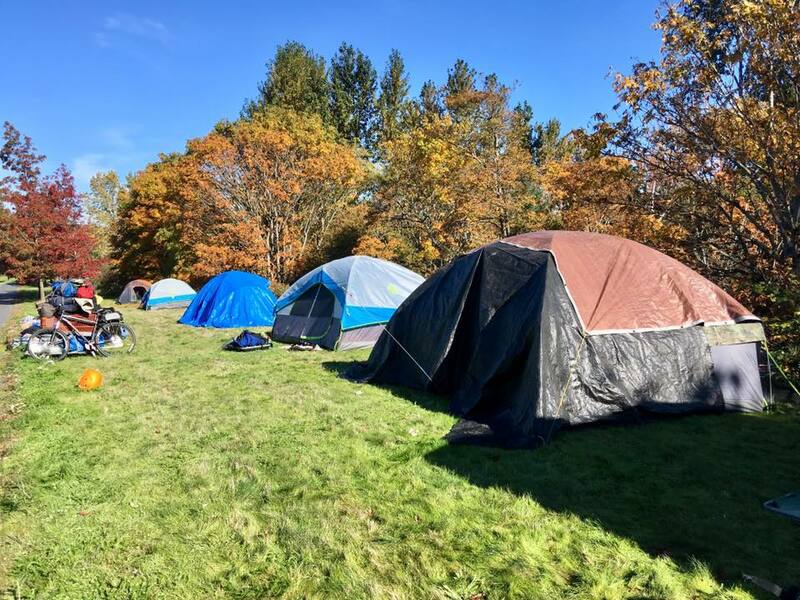 In Saanich and Victoria, the government has opened some extreme weather shelter beds and Saanich changed their by-law to allow overnight camping in 100 parks across the municipality, but these options do not provide uninterrupted shelter or stability. Imagine having to pack up everything you own and carry it around on your back all day, or the emotional and physical strain that comes with not having a place to exist without getting harassed and criminalized. Housed people take these things for granted and often don’t think about how not having a place to be negatively impacts homeless people. Homeless people are fighting back against this daily displacement by organizing tent cities across North America. Along with providing a certain level of privacy and a space that homeless people have some control over, tent cities offer something else that shelters fail to provide: a place for homeless people to exist while they are awake, protected from the elements. The constant criminalization faced by tent cities is not surprising as their very existence challenges the capitalist status quo benefiting the white colonial ruling class. And until the government recognizes that homeless people deserve to have access to a place to be while they are awake, we will continue to fight for it and take an unwavering stand against state-sponsored policies that put the health and lives of homeless people at risk. Gaëlle Nicolussi is an activist supporter of Namegans Nation. She has supported the camp since the beginning of July when it was set up at Regina Park and has been traveling alongside it ever since.